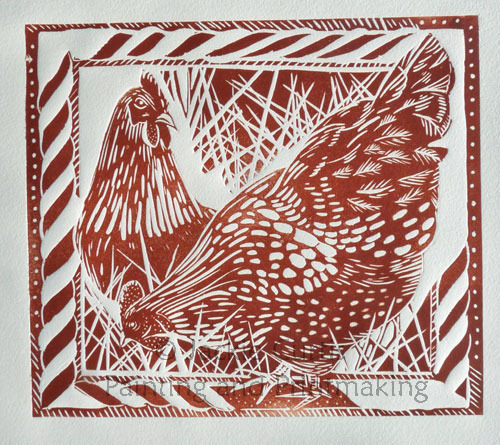 Pecking Order - Hens rustic linocut by Jackie Curtis. Exact colour may vary as block is inked using two colours. Can be produced in other colour combinations if required.